Derdack is a alert/notification and incident response tool, by integrating Derdack with ClickSend you can recieve real time alerts via SMS right when something happens. Before you start, contact our support staff and request for a SMPP user to be added to your account. Our online chat support can do this for you 24/7. They'll ask for your server's public IP address since we need to whitelist it (you can get this from your system administrator/IT team). 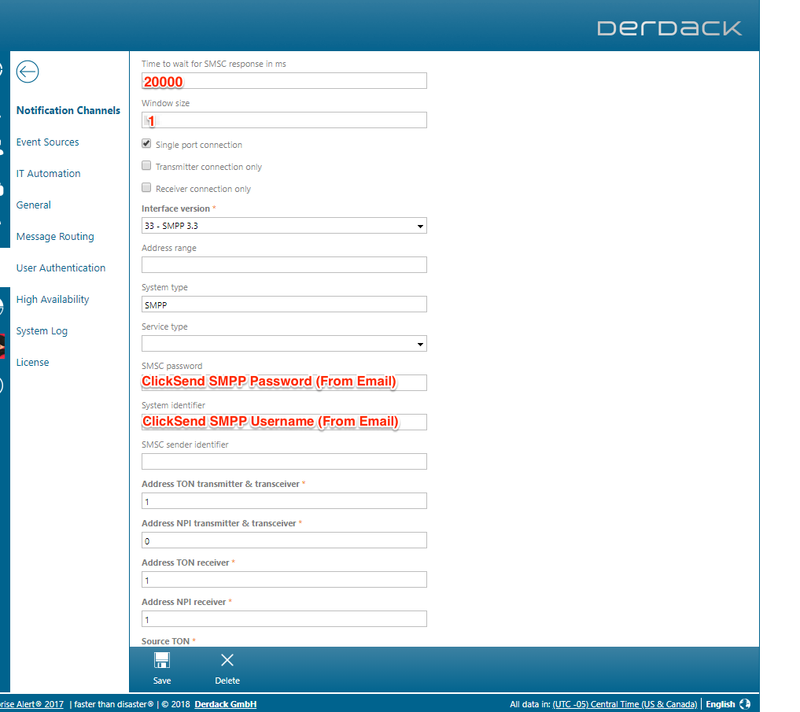 In order to integrate navigate to the Notification Channel settings in Derdack, here you will need to enter the required settings to connect with ClickSends SMPP system. Our support team will email you the ClickSend SMPP credentials. You can enter these as shown below.